Poultry, dairy, swine, and specialty species information directly related to you and your farm! How Natures Grown Organics is a leader in the organic feed industry. Now, the quality of Natures Grown Organics is available to you, allowing you to feed certified organic feed for the product you and your consumers will value most. Where can I buy Natures Grown Organics? Natures Grown Organics is available through a growing number of dealer locations. 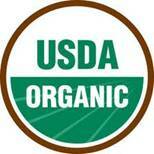 Please contact us to find out where you can find Natures Grown Organics near you. © Copyright 2012–2019 Natures Grown Organics. All rights reserved. Website by Ecliptic Technologies, Inc.